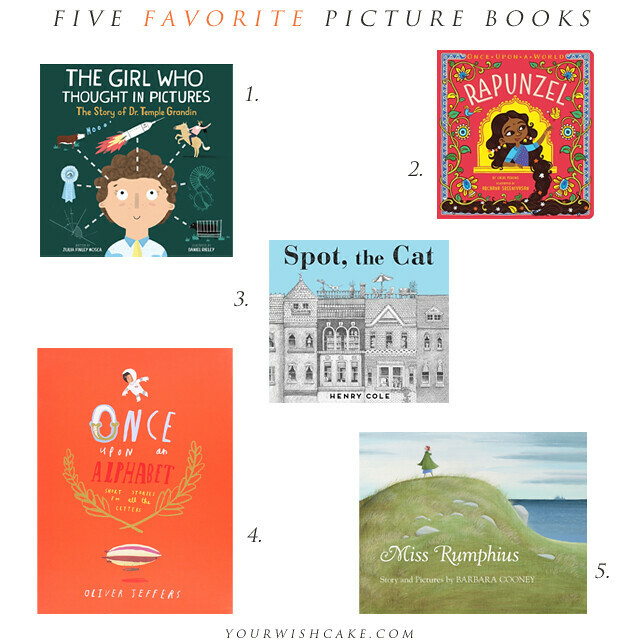 It's been a while since I've shared a handful of picture book favorites, so this post is definitely overdue! Considering we are at the library no less than twice a week (each time with a stack so large I may need to invest in an actual wagon or a very glamorous rolling-backpack for these hauls), I've come across so many fantastic books that I can't help but recommend. 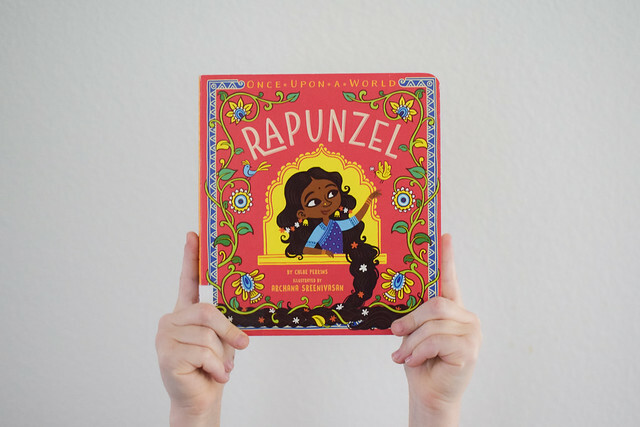 As always, I will share books that I think are both beautifully written and illustrated, and also those I think are worthy enough to grace your own bookshelves at home or become the perfect bookish gift for a child in your life. 1. The Girl Who Thought in Pictures by Julia Finley Mosca — I've been recommending this book ever since we first picked it up from the library last month! I've been on a non-fiction picture book kick for the last year or so (there are so many incredible ones out there, and I'll have to share a longer list sometime soon!). This particular one is a fantastic way to introduce children to ways the world may be experienced by someone with autism. It's a beautiful story about Dr. Temple Grandin, starting from her childhood all the way through to the present—including all her creative inventions and her unique way of seeing the world. We need to be raising kids with more compassion and understanding for every person they may encounter in life, and I think this is a must-read for every family. A little awareness goes such a long way. 2. Once Upon a World board books — We don't get many board books these days, but sometimes Cora still wants to grab a few from the library. We recently came across a handful of these and they immediately caught my eye, both because of the gorgeous, colorful illustrations, and also the unique take on these familiar princess tales. Each of these books features a fairy tale story that we all know, but each is set in a different country. For instance, Rapunzel is set in India, Snow White is set in Japan, and Cinderella is set in Mexico. I'd actually love to own a set of these books, because I'm a big fan of non-Disney princess stories (not that I don't love me some Disney, but when it comes to books, I prefer something a little more substantial!) and they're also just beautiful to look at. It's also worth noting that although these are board books, the stories are still wordy enough to catch the attention of older siblings (Eisley read through all the ones we checked out and loved them as much as Cora!). 4. Once Upon an Alphabet by Oliver Jeffers — Oliver Jeffers can do no wrong by me with his quirky stories and colorful illustrations. This book is no exception! It's a rather large book filled with small stories for all the letters of the alphabet, many of them intertwining together as you go through the pages. Very sweet, very fun, absolutely beautiful. The is one I'd love to give one of the girls at some point to have in our own library because we could read it again and again, and still find something new within the pages every time. 5. Miss Rumphius by Barbara Cooney — This book is my favorite kind to read to my daughters. It is a story with so much heart and I absolutely want to live within the pages. The story centers around a woman who longs to travel the world, to live in a house by the sea, and to do something to make the world more beautiful. I love that it is based on a real woman who scattered seeds everywhere she went and absolutely made the world a more beautiful place. I like giving my daughters a reminder that the things you do in life don't have to be seen by everyone to be worth something or to make a difference. Now it's your turn: What has been the best children's book you've read recently? What a great list! I love Miss Rumphius as well. The illustrations are so beautiful. We've been constantly reading Goggles and A Letter to Amy by Ezra Jack Keats. Actually all of his books are fantastic. :) I especially love Peter's Chair, The Snowy Day, and Whistle for Willie. Also, The Runway Bunny, Corduroy, Franklin's Bad Day, and Ten Little Fingers and Ten Little Toes have been on heavy rotation and are lovely. Great list! We love Oliver Jeffers too! We been reading The Gruffalo, The Paper Bag Princess, Llama, Llama Red Pajama and The Very Cranky Bear quite frequently these days.